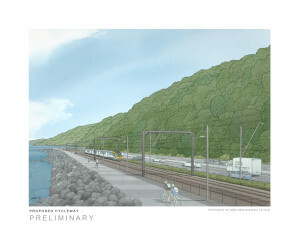 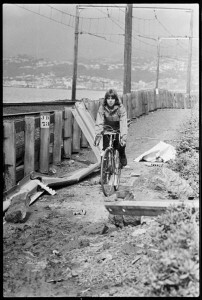 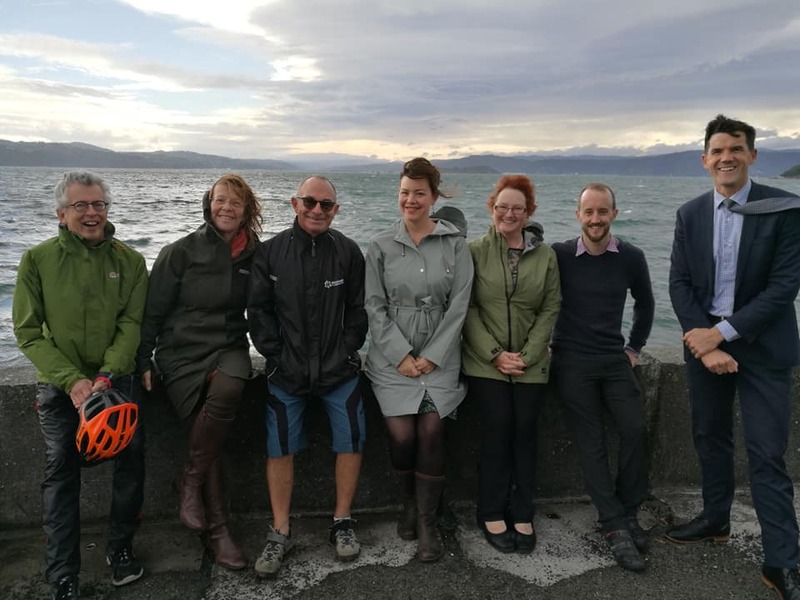 The Great Harbour Way/ Te Aranui o Pōneke Trust hailed NZTA’s decision to proceed with funding the iconic Hutt Valley-Wellington cycling and walking seaward path, announced by Minister Julie Anne Genter at Point Jerningham. The occasion also marked the start of work on a separated cycle path around Evans Bay, another key part of the GHW. 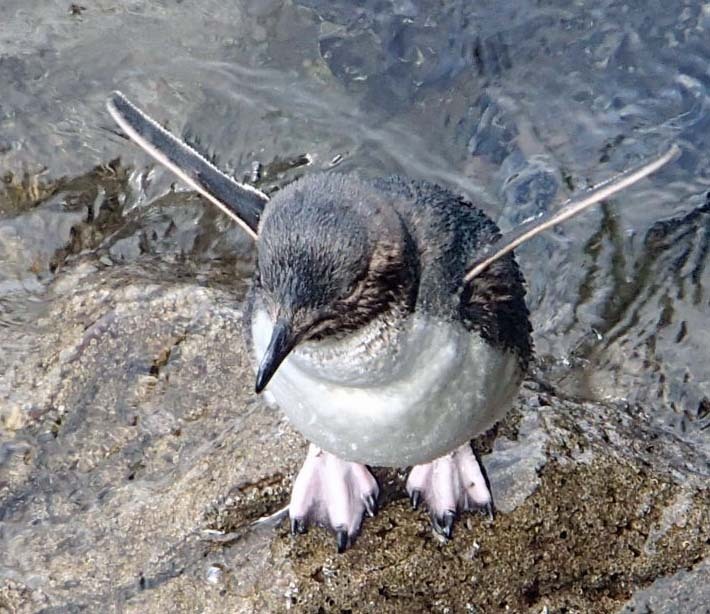 When you’re travelling the GHW, you might be lucky enough to see a little blue penguin, or kororā,. 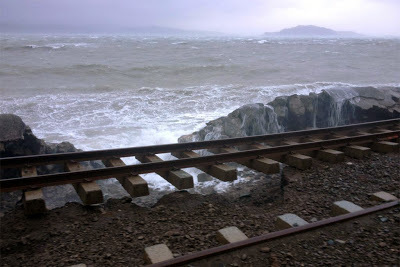 On shore, they’re vulnerable, and keep out of sight. But you may see one swimming off shore, where they feel more confident, or at dusk see them scurrying to their nests. 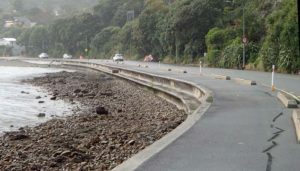 Unfortunately in many places along the GHW, humans have built roads between the shore and the penguin nests, and kororā end up as road kill. Places for Penguins provides safely located nesting boxes for kororā. 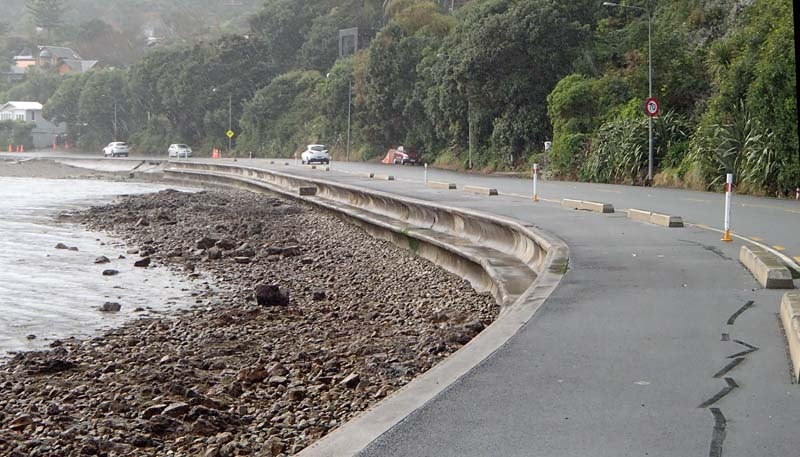 Volunteers check the boxes every few weeks to monitor the progress of penguins. 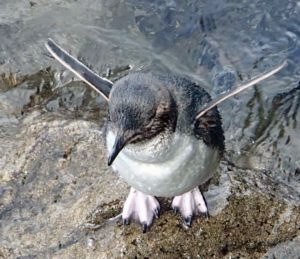 From June to December, they’re raising chicks, and from January to March the boxes are a safe haven for the annual moult, when they can’t swim or feed for a couple of weeks until their new coat grows back. 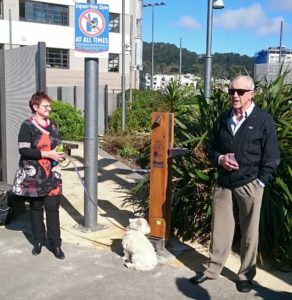 Another hazard for kororā are dogs – while your canine companion will enjoy an outing on the GHW, make sure it’s under control and not tempted to disturb our precious penguins.